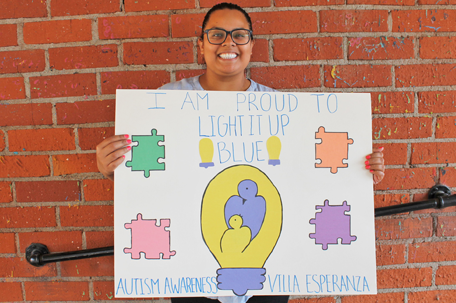 We hope you will participate in Light It Up Blue and wear blue on April 2 in honor and support of individuals with autism! Light It Up Blue, also known as World Autism Awareness Day, kicks off Autism Awareness Month to help raise global awareness about the disorder which currently affects 1 in 59 children here in the United States. 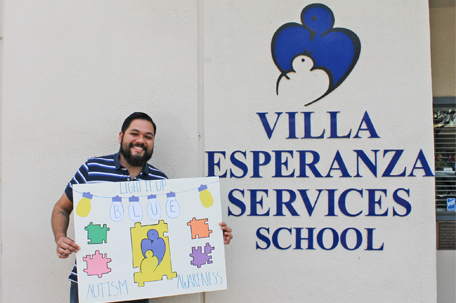 The majority of the children at Villa Esperanza's school have moderate to severe autism and we also serve many adults with the disorder. Autism is a complex condition that affects a person's ability to communicate and develop social relationships. It is often accompanied by behavioral challenges. 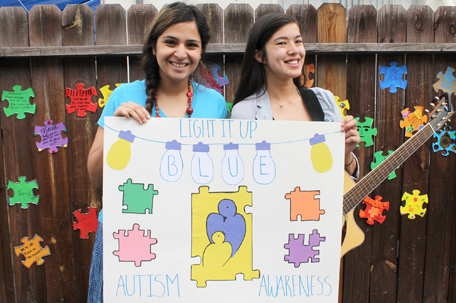 Participation in Light It Up Blue helps bring attention to autism and those affected by it. We hope you will join us in wearing blue on April 2nd and all month long! Keep the conversation about autism going all throughout April, which is Autism Awareness Month. Thank you and we appreciate your support! 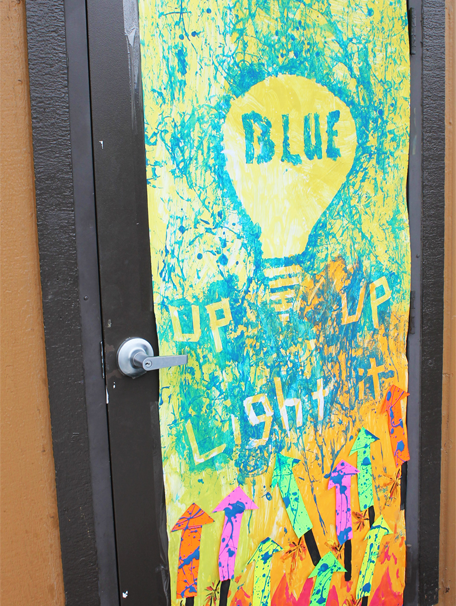 For more information about Light It Up Blue, visit the Autism Speaks website. 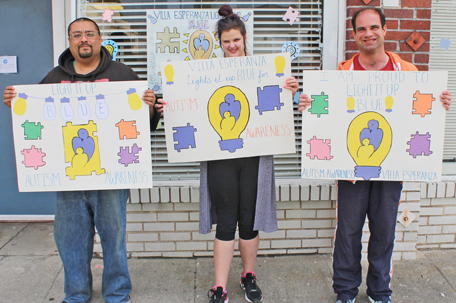 Villa’s Employment Program participants Oscar, Denise, and Miguel (pictured left to right) are proud to shine a light on autism! Los Angeles College of Music helped Villa Light It Up Blue! Two extremely talented musicians, Tulsi and Kira, performed at the Villa School Light It Up Blue Pep Rally. 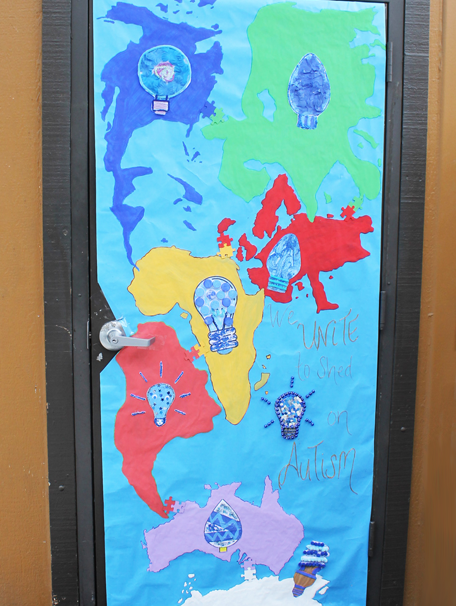 Villa School held a classroom door decorating competition for Light It Up Blue/World Autism Awareness Day. Congratulations to Classroom 2 for their winning design! 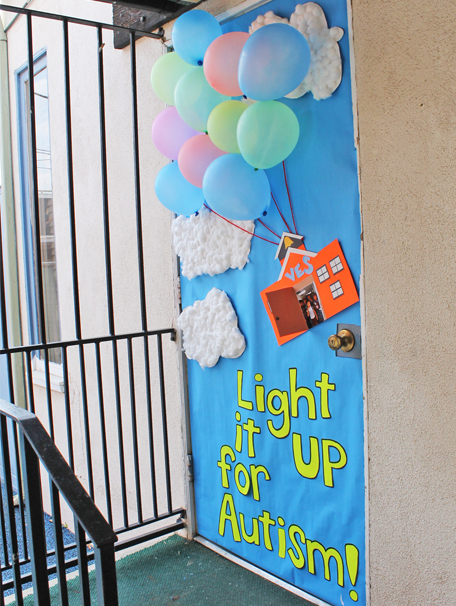 Villa School is spreading the word near and far: “We unite to shed light on autism!” Well said, Classroom 9! 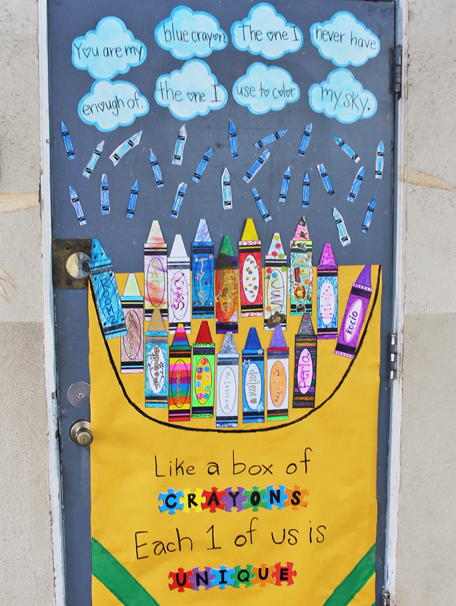 An uplifting door design from Classroom 5! Classroom 1’s students are soaring to new heights with this inspiring design!